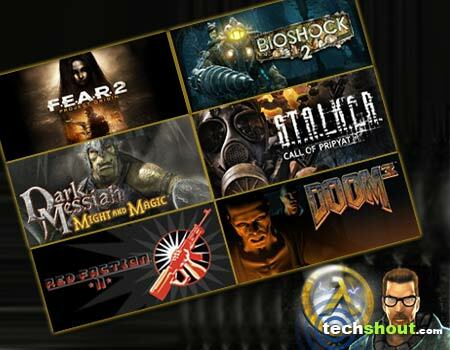 We bet the following games like Half Life will help satisfy your craving for first person shooter action. When the HL franchise hit the scene 15 years ago, it completely changed the way we perceived the FPS genre. The series even managed to gather a large cult following with a few gems that released under its name. However, there haven’t been any installments unveiled of late. But fans need not fret as there’s quite a handful of delights that should quench that sci-fi, FPS thirst. Now, they may not exactly fit the bill but you’ll surely love what each one brings to the virtual table. 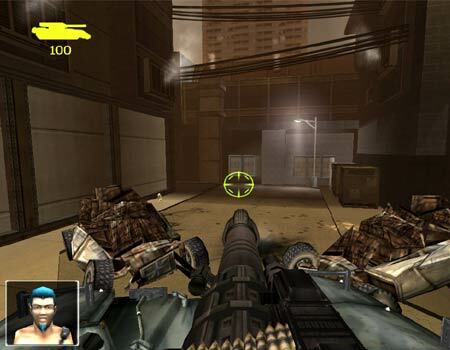 This first person shooter drilled its way onto the PC, Xbox 360 and PS3 nearly 3 years ago. 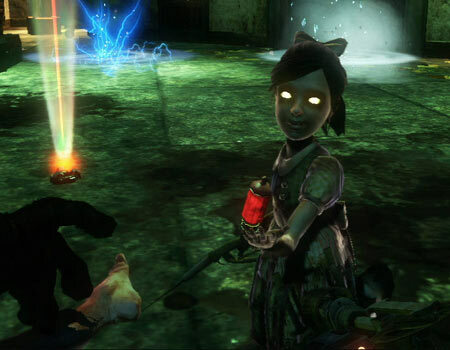 The events featured here take place almost a decade after the original BioShock storyline. There have been kidnappings of little girls by a monster all along the Atlantic seaboard. You can step into the huge boots of the character known as Big Daddy and traverse through the eerie hallways of the Rapture. You’ll have to face off against waves of genetically modified Splicers and find a way to escape the failed utopia. The underwater sequel also proffers a multiplayer mode where you can foray into a prequel sequence that portrays the Rapture’s origins. And if you appreciated the first 2 installments, watch out for the third iteration namely, Infinite which is scheduled to release sometime this month. 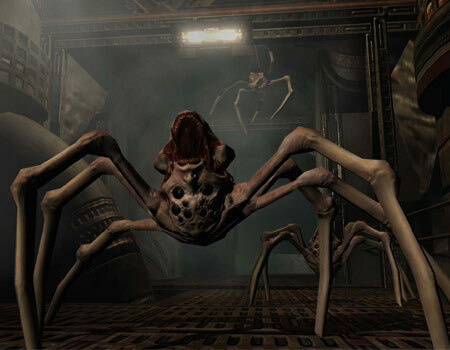 It’s now time to instill some more fear into your hearts with the second iteration in the F.E.A.R. series. This entrant in our games similar to Half Life roster falls under the FPS psychological horror genre and lets you take on the role of Special Forces Sgt. Michael Becket. You along with your brave team must travel through an apocalyptic landscape, gathering clues to decipher just how to eliminate Alma Wade. Aiding you in your quest is the ability to slow down time as well as world interaction enhancements. 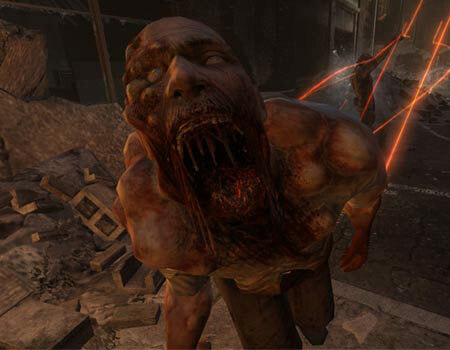 What’s more, you’ll even feel right at home here especially since the sequel is packed to the hilt with abandoned buildings, an eerie atmosphere and corpses lying on the floor, covered with blood. If the mere mention of the name Doom got you all nostalgic, then we suggest you play through this particular action-packed installment. There has been a demonic invasion at the Union Aerospace Corporation’s (UAC) Mars Research Facility. And as you might have already guessed, you get to be one of the fortunate (or unfortunate) survivors who must muster up the courage and attempt to get out of this hellhole. But your mission isn’t going to be easy as you’ll be confronted by evil monstrosities every step of the way. Your only hope against these wicked waves is your arsenal of weaponry which includes a chainsaw, grenades and pistol. Here you’ll be pulled into 22nd century Earth to witness a series of events that take place half a decade after the rebellion on Mars. You are called upon to defend your country guised as a demolitions expert called Alias. Don’t worry as you won’t be alone in your dangerous mission. You’ll be aided by 5 squad members, each boasting of his or her special method of creating havoc for the evil-doers. This inclusion in our Half Life alternatives array provides you with an arsenal of weaponry, massive explosives and a variety of vehicles like a hover flyer, tank and submarine. All these bits will come in handy while overthrowing the evil government in power. 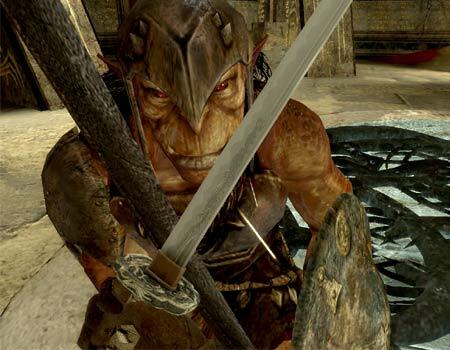 According to the developer, the sequel involves puzzle-solving, stealth and action bits. 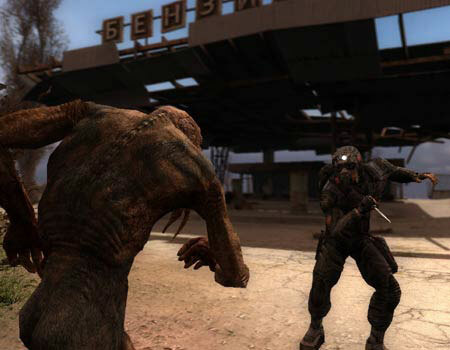 The storyline featured here kick starts right where Shadow of Chernobyl left off. This third iteration takes you to the Chernobyl nuclear reactor that exploded over 25 years ago. The maker invites you to step into the shoes of Agent Alexander Degtyarev and solve the mysterious disappearance of five military helicopters. This particular title is also infused with a new A-Life system, player interface, interesting characters, hideous monsters, sleep function and tailored side quests. And adding to that list is the presence of a multiplayer mode where up to 32 individuals can compete with one another. Now if you’re a little tired of glancing at titles that are brimming with sci-fi elements, why not take a crack at a first person action gem loaded with RPG sprinkles? Well, if you’re brave enough to venture through these levels, you’ll also be able to familiarize yourself with sorcery, swords and stealth. Prepare to be plunged into a dark fantasy realm where the action never stops as there are a dozen expansive levels to conquer and more than 30 weapons and spells to learn. This contender in our games similar to Half Life roundup even comes complete with a multiplayer aspect where up to 32 players can participate in Crusade mode. Published by Ubisoft, the title rolls out for the PC and Xbox 360 console. The acclaimed HL series jumped onto the forefront with intriguing science fiction and exploration elements. It redefined the FPS genre, drawing fans to its engaging gameplay since 1998. Now if you’re looking out for games like Half Life, you’ll probably want to get your hands on titles that provide all the aforementioned features or at least have some sort of HL feel to them. You can dive right into any of the options listed here instead of just sitting around, reminiscing about the series’ attributes. Seen something you like? Well, don’t hesitate to leave your comments in the box below.